Prayer for my mother-in-law suffereing from cancer last stage!! Please do pray and intercede for my Mother-in-Law. (Name: Lakshamma). Her Kidneys failed due to tumor in her stomach. she has to undergo an operation. Doctors also stating that the cancer in her stomach is spread to her Uterus, gall bladder and the tumor in the stomach & bones too and now they can't give radiation or chemotherapy. Doctors have given up hope. Please pray that she will get better & be healed from her kidney problem and cancer. To be a living testimony to God's Glory. 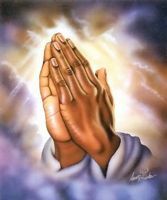 Comments for Prayer for my mother-in-law suffereing from cancer last stage!! Here is a great platform for online prayers requests. Check out given above requested and share your important words for that. Check our best essay au service and share this with your friend, if you like our services online. If you believe in God and the eternal life, why do you stop her from dying? Dying in this world is a transition to the other life. Maybe she has done her life on earth and God wants her back. What kind of faith do you have if you keep on clinging to your dear life here on earth and at the same time saying, "praise the lord! I believe in eternal life"? All powerful and living, Our Lord & Saviour Jesus Christ please let the power of Your Love, the power of Your tendernes, the power of Your Spirit, the power of Your Miracle go into the heart and soul and mind and body of Lakshamma and cure and make her whole again. Everything we ask of You in Prayer and believe we have received it, You give it unto us. Amen.